Alison lives the soccer mom suburban life, which includes membership in a largely WASP (white, Anglo-Saxon, Protestant) church. While there are a few moments when Alison genuinely turns to her faith in times of crisis, these are only the most shallow of representations. Alison prays to Jesus for help, but these function more as a way to confirm her WASP-y stereotype instead of genuine aspects of her character. Alison spends more time focused on the social aspects of being an active member of a church community, and not the spiritual elements. She prays a few times, in a few episodes, and that’s it. In the final season, Alison takes a vacation to find herself, and when she returns, there’s no mention of any faith. There’s no evidence that it’s either part of her new identity, or not part of it. I have no idea if being a member of the local church was part of old, control-freak Alison’s way of fitting in and climbing the social ladder, or if it’s a genuine interest. Her faith is a missed opportunity for exploring spiritual development. The Proletheans take Christianity into scary fertility cult territory. The writers really lean into every aspect of the trope. The cult is based on a farm, led by a family patriarch. He believes the horrors he commits are just doing what needs to be done to fulfill the will of God. Women wear extra-modest clothing and keep their hair long, fashions common to fundamentalist Christian groups. They are subject to the authority of their husbands and fathers, and cooperate with abusive men to keep other women compliant. The father forcibly impregnates Helena with his sperm and creates dozens of frozen embryos. The Proletheans function mostly as a strange offshoot of Westmoreland’s ideas. Gracie and Mark escape the cult and return in the final season, but both of them are killed on P.T. Westmoreland’s orders. The Prolethean cult is supposed to be a major antagonist in the series, but its ideology is confusing. Tomas, Helena’s guardian, seems to be a pseudo-Orthodox Christian, but the Proletheans we meet with Gracie and the farm are much more like fundamentalist Protestant Christians. Putting them in the same category is like saying football and rugby are the same thing, because they involve moving a ball around a field. This is a Roman Catholic nun habit. The button-down collared shirt, the wimple (headwear) that exposes her hairline, these are things that scream “generic nun” and not “Orthodox.” It’s yet another way the writers show us how lazy they were, and are playing off the cruel, austere nun trope. Austerity is actually a major part of both Western and Eastern Christian monasticism. The idea is to control one’s bodily desires through self-denial, physical discomfort and pain, hunger, sleeplessness, etc. in order to grow in spiritual discipline. When one detaches themselves from physical appetites, the less control they will exert on the spirit. Though most of the nuns seem cruel and austere, we eventually meet Sr. Irina, the one nun who was always kind to Helena. 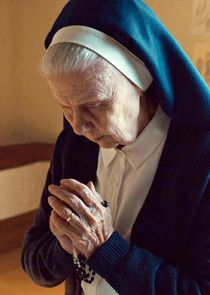 She shows us that they aren’t all bad, and her gentleness balances the cruelty of the Mother Superior. However, this balance is destroyed by introducing sexual repression into the evil nuns’ rap sheet. What’s worse is that the sexual repression serves zero purpose to the larger narrative, other than a “final straw” for the Mother Superior’s wrath at Helena. Helena’s “sin” could have been anything; why does it have to be sexual curiosity? As I’ve written before, the evil, lusty nun is a misogynist trope. It’s lazy, offensive writing. The Proletheans and the Orthodox nuns wouldn’t have much theology in common, but in Orphan Black, they’re painted with the same brush strokes. Both are religions with powerful people, and those powerful people use God as an excuse to hurt our protagonists. Alison’s church is largely innocuous and embodies something most serious Christians would hate to see their churches become: a social club that happens to mention Jesus. There were so many opportunities for genuine exploration of faith and spirituality; for example, we could have seen Helena actively express her Orthodox faith, and not by murdering people in churches. Sure, in the finale we have a passing shot of an Orthodox-style cross over the spot in Alison’s garden where Helena buried her embryos, but that’s a pretty passive expression of her faith. We could have seen her give Orange and Purple their names at a baptism, instead of alone in Alison’s back yard. Years ago, many children weren’t named until they were baptized, and many Christian denominations include naming as one of the first parts of the baptism ritual. In Orthodoxy, traditionally, babies are named and baptized 40 days after they’re born, even if today families will call the children by their names beforehand. Temporary names don’t make much sense, unless they would have been a way to tell the twins apart before a formal naming ritual, as would have been included in their baptism. A baptism would have been a great way to show that Helena’s Orthodoxy isn’t just a holdover from her time with evil nuns, that it’s a positive part of her unique identity. Similarly, Alison could have had a conversion to Buddhism as part of her new identity. On her vacation, Alison mentions staying in a yurt, a type of permanent tent that’s currently popular in eco-tourism, as they allow people to feel more closely connected with nature. Yurts have roots in Central Asia, and Mongolian yurts are often adorned with Buddhist symbols. A religious conversion would have been a great way to further differentiate the “old Alison” from the “new Alison,” while still maintaining her identity as a quasi-spiritual person. Even if the writers didn’t want Alison to have a conversion to a dramatically different religion, she could have gone on a pilgrimage like the Camino de Santiago, an ancient Spanish pilgrimage route pursued by Catholics, Pagans, and everyone in between, searching for spiritual fulfillment. A spiritual awakening, even within her own faith, could be a great way to show that Alison feels like a more whole person. Living into her own expression of faith through a personal, deep religious experience would have been a great way to show how she’s no longer concerned with perfectly fitting into the expectations of the social strata of her community. 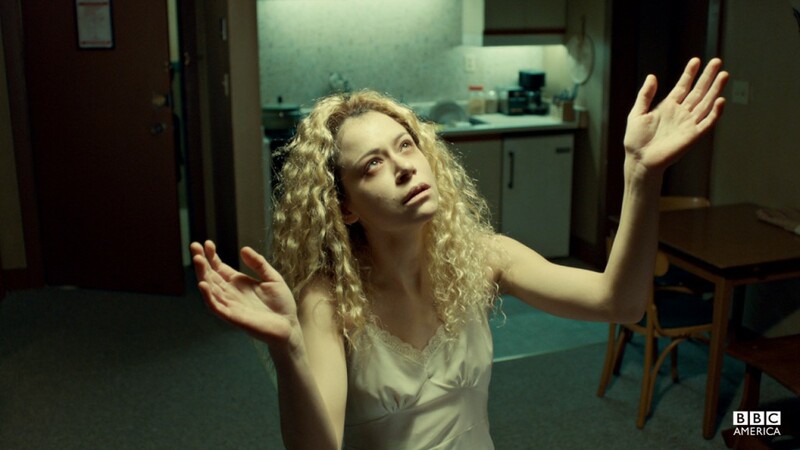 Orphan Black contained so many themes about struggling for freedom and self-determination. The uniqueness of each clone was highlighted in Tatiana Maslany’s masterful character acting. Leda clones ran the gamut of cultures, lifestyles, personalities, sexualities, and gender identities. It would be bad enough if the writers had simply ignored religion as a facet of that diversity, but religion is essentially the minor villain in the story. 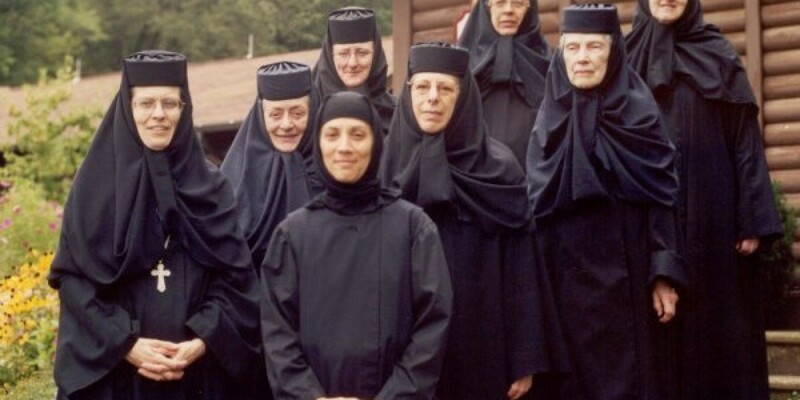 The Orthodox nuns and the fertility cult are meant to be part of the same religious movement, the Proletheans, and Helena and her sestras fight against the Proletheans through multiple seasons of the show. The writers could have decided to create a fictional religious cult that had diverse branches: one with regiment and austerity common to traditional forms of religious orders (monks and nuns), and another with a farm-to-table fertility cult. This sort of Prolethean movement would have been a great foil for the Neolutionists, the humanist science-based movement that threatens Cosima and her sestras. But that is not what the writers did. They chose to connect the Proletheans with real religions, and failed to represent those real religions with any true attempt at accuracy. I think the message was supposed to be that both science and religion can be powerful tools to promote evil, in the wrong hands. But the actual message was that religion is an evil tool. The only “safe” religion we see is Alison’s, and her faith ultimately doesn’t matter too much to her character. Swap out “Jesus” with “Generic Non-Profit Cause” and there’d be no meaningful changes to Alison’s character. Orphan Black was an innovative show that promised to tackle important moral issues, in the tradition of all great science fiction. Unfortunately, its treatment of religion always left me disappointed. This entry was posted in Oh My Pop Culture Religion, Orphan Black, Religion, tv show and tagged Christianity, orphan black, orthodoxy, Religion, religious representation by stinekey. Bookmark the permalink.